No.3 - Most may not bark a lot but they scream and howl and wine which can be just as disturbing for you neighbors!Dogs that howl excessively are often lonely and bored. Lonely and bored dogs of any breed often become destructive - chewing and destroying furniture, make lots of noise etc. No.4 - Siberians are extremely intelligent and independent. This is not your typical master/dog relationship. It is much more like having a roommate that has its own likes, dislikes and moods. They also have quite the sense of humor and can be quite mischievous. No. 6 - Siberians are usually not good with cats or small animals unless raised with them from puppyhood. No. 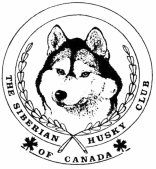 7 - Siberians are active dogs and require lots of daily exercise. This is not a couch potato breed but they believe themselves to be lap dogs at the day's end! Not deterred so far? On the plus side, Siberians make excellent family dogs, exhibiting patience and tolerance with young children. Their friendly outgoing nature soon dispels worries your neighbor may have that you are "harboring wolves". An active breed, they adore winter sports but they are equally happy hiking with you in the summer months.